Grape Seed Extract, also known as GSE or vitis vinifera is a powerful antioxidant that is 20 times stronger than ascorbic acid ( Vitamin C ) and 50 times more potent than alpha-tocopheryl acetate (Vitamin E ). Having Resveratrol also is in GSE that is an anti-bacterial, anti-viral, anti-fungal and anti-inflammatory agent it helps clear up skin and heal. Grape Seed Extract helps protect against free radical damage being rich in polyphenols, and is a great topical anti aging ingredient. Grape seed extract is a leftover product of wine making. 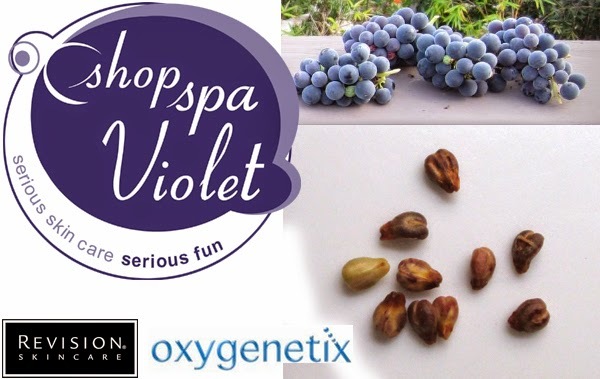 Grape Seed Extract is very lightweight and has small molecules to help penetrate deep into the skin adding nutrients to the skin to strengthen the elastin and building collagen. It can retain moisture to aid the skin in retaining the healthy nutrients and plumping the skin to reduce fine lines and wrinkles. Grape Seed Extract when taken internally has many benefits as well. It is one of the most potent sources of Oligomeric procyanidins (OPC ) that helps cardiovascular health. Improving the capillaries and arteries can reduce spider and varicose veins. Grape Seed Extract remains in the body when taken orally for 3 days, much longer than Vitamin A, C or E. It reduces the plaque that can build up in arteries and promotes brain, eye health and mental alertness. Better blood circulation allows the skin to receive the nutrients and aid in the function.